In the end I think it was worth the madness…. 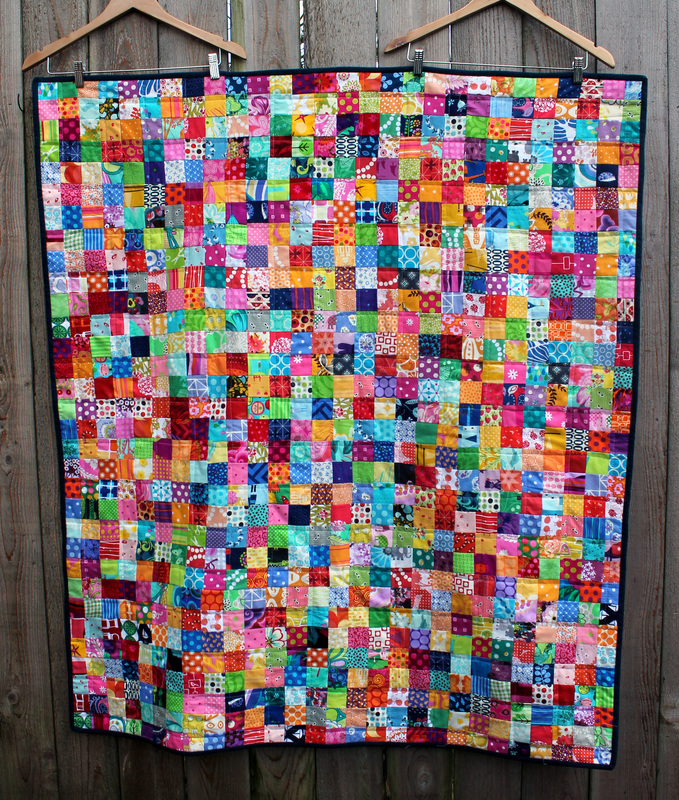 though I did not make the quilt as big as I originally planned. 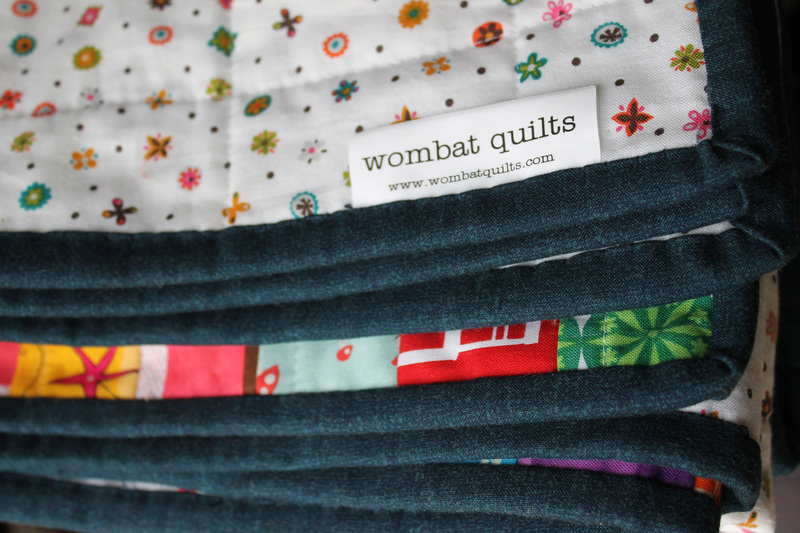 I love the brightness and variety in this quilt. Some kid is hopefully going to love exploring all the different fabric. If you are interested in my process and a pattern link you can check out my previous post here. Because the quilt was so busy I went with simple straight line quilting and a backing of just one fabric piece. I am busily trying to get some more of my quilts finished, as our chapter of Project Linus has had a huge call on blankets in the last week. A local school, Crestline Elementary in Vancouver WA, burned to the ground and Project Linus is delivering 500 blankets/quilts to the kids this week. The kids affected are aged between 5 to 10 years old so the call is out to replenish our kids blanket/quilt stocks. The sewing machine will be going full pelt this weekend. Beautiful quilt. I especially like the look of the fabric you used for the binding. I know that a kid will love looking at all of the fabrics because I just spent a lot of time admiring them 🙂 What a fabulous quilt! 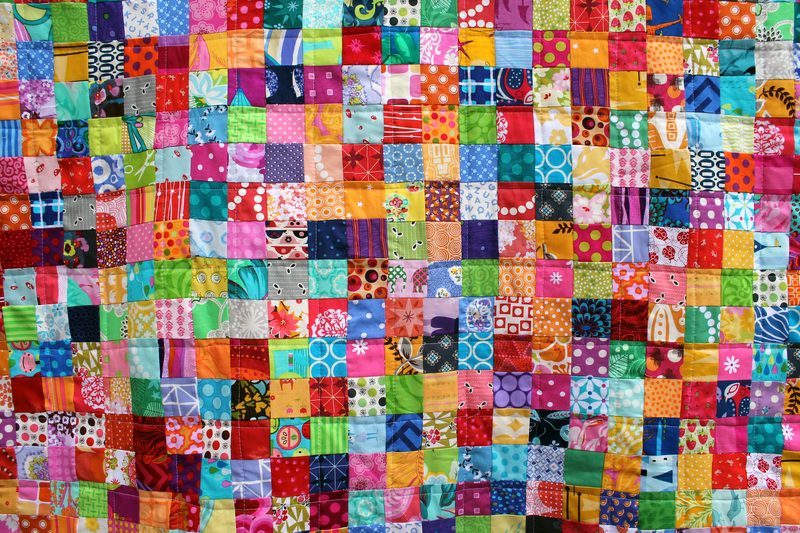 I love the way this quilt is so colourful and interesting to look at. Beautiful!